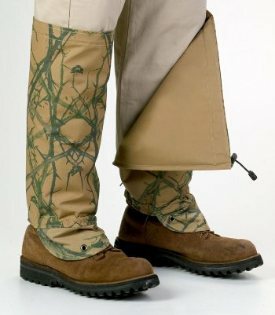 Turtleskin Snake Gaiters - Lightweight & Comfortable! TurtleSkin SnakeArmor Snake Gaiters are constructed from a super-tight patented weave of high-strength ballistic fibers and polyester. Many brands of snake gaiters are heavy, stiff, and bulky, but at 6 ounces each, these gaiters are lighter in weight than most others on the market, yet are tested to repel even large rattlesnakes. And the gaiters fold compactly to approx. 8 x 8 x 2 inches for backpacking or to save storage space. Warwick Mills, the manufacturer of TurtleSkin Products is trusted not only in North America, but worn all around the globe— from America to Africa, Australia and Asia! Lightest snake gaiter on the market - a pair of Regular weighs only a mere 11 ounces! Machine washable. Do NOT use any bleach or fabric softeners as these can ruin the protective SnakeArmor material. Low heat tumble dry or air dry by unzipping and hanging gaiters in your laundry room or on a clothesline. Turtleskin gaiters ARE available to ship outside of the USA! Please purchase through our listings on eBay. Click here to for international orders of regular size gaiters. Click here for international orders of husky gaiters. "I wanted to thank you for such a high quality product. I was attracted to them because I live in one of the hottest places in the USA -- Bullhead City, AZ. The snake season is long and the temps can be brutual during much of it. The first spring after I bought them I went turkey hunting in Seligman, AZ. I felt a thump on my leg just above the ankle, looked down, and realized I had been struck by what I think was a mohave green. I was grateful to see only a small wet spot on the outside of the gaiter, but no penetration marks." "My gaiters get at least 40 days of use per season and after 4 years, the cords and zippers function like new and the fabric shoes no signs of wear. I expect to use them for many bird hunting seasons to come." 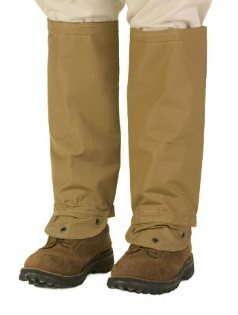 TurtleSkin brand snake gaiters are reversible and are constructed from a blend of high-strength ballistic fibers and polyester in a super-tight weave. SnakeArmor gaiters are also windproof, waterproof, and flexible. The gaiters fold compactly to approx. 8 x 8 x 2 inches for backpacking or to save storage space. For a snug fit, simply close up the back and cinch the elastic top. Available in sage, camo, and khaki combinations in regular or husky sizes. As humans at the top of the food chain, we sometimes feel invincible versus the other creatures that inhabit the places where we live and play. But there are still some creatures that can pose a threat. Snakes are one of these creatures. Many snakes are harmless and will go out of their way to avoid people, but some snakes are aggressive when they sense a potential challenge. You may encounter poisonous snakes in unlikely places such as your swimming pool. They also like to live within piles of wood, and they can be found in the back corners of neglected storage spaces and garages. 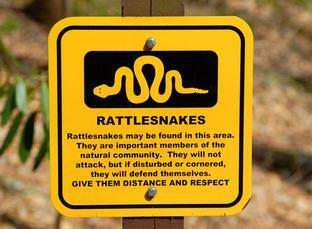 Snakes can inhabit most any outdoor space in the woods or desert. If you know you will be venturing into an area where snakes are present, you can protect yourself with snake gaiters — the best layer of defense against deadly fangs!